I am having a blast working with the incredible young men of this program. Our spring training was nothing short of amazing and encouraging for the future of UMass football. I am immensely proud of the toughness and continued desire to get better each day displayed by everyone in the program. We have placed a premium on creating an intense and speedy style of play. It will be exciting, no doubt about it! Our student-athletes are developing the next era of Minutemen football that will uphold and enhance the rich championship legacy of UMass football. We are proud of the progress and momentum that is happening in and around the program. There are so many positive events happing that it is difficult to contain my excitement. We are indeed building something special that Minutemen nation will be proud to support. Your continue support and investment in our program is appreciated. Thank you! The mission of the UMass Football Gridiron Club is to strengthen the University's football program by encouraging private and volunteer leadership from Minutemen across the country. The UMass Gridiron Club shall support initiatives as requested by the Head Football Coach and the University of Massachusetts Athletic Department. As the official booster club for the University of Massachusetts Football program, the UMass Gridiron Club seeks to Engage, Educate, and Empower young men to achieve optimal success. 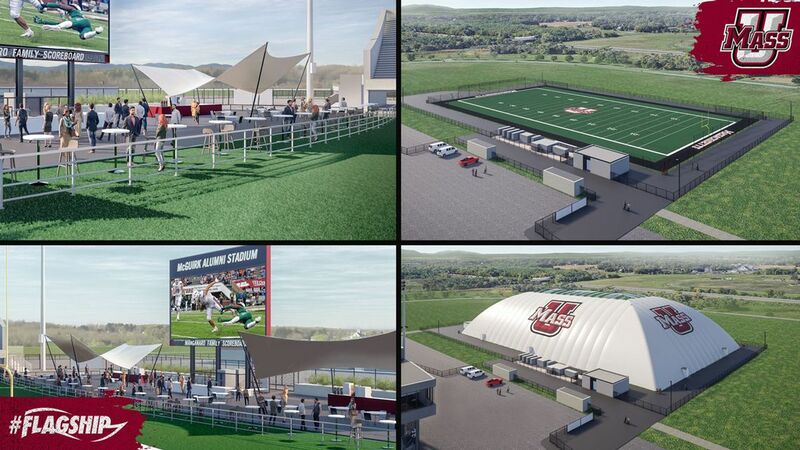 The UMass Gridiron Club envisions being the premier athletic booster club locally, state-wide, and regionally. Being a member of this club provides opportunities to collaborate with fellow loyal UMass Football friends and fans in accomplishing the mission and bringing the vision of the club to pass. UMass Gridiron Club members provide financial support as requested to help the Minutemen compete at the FBS level, provide leadership development programming for the student-athletes, and sponsor functions for club members. Funds raised by the UMass Football Gridiron Club go directly to support the UMass Football program. Funding and functions are consistent with the applicable NCAA rules governing booster clubs and their supporters. The Gridiron Club needs you in the game. Gifts, no matter the size, make a difference and we need 100% of the UMass Football Family on board. 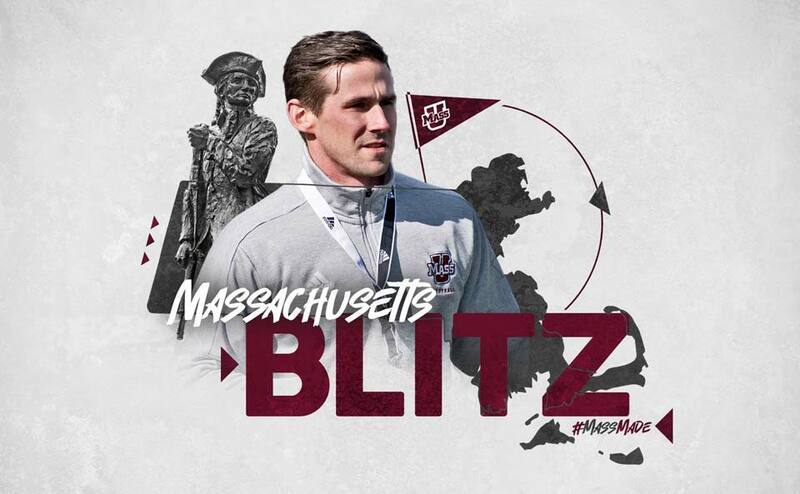 The University of Massachusetts is committed to building and sustaining a football program that exemplifies competitive excellence both on and off the field while competing at the Division I FBS level that alumni, current and future minutemen will be proud off. The difference between a good program and a great program is the support of its alumni and friends. We need your help to ensure greatness for our beloved UMass Football program. By making a contribution to the UMass Athletics by way of the UMass Gridiron Club, you can make an immediate impact by assisting to improve the quality of the student-athlete experience that UMass Athletes provides. Your contribution(s) to UMass Athletics Gridiron Club immediately makes you a booster. Once an individual or entity becomes a booster that identity is retained indefinitely, even if involvement with the athletics program ceases. The University of Massachusetts is committed to operating our athletics program in a manner consistent with the letter and spirit of the NCAA rules. The University will not compromise the integrity of the institution when it comes to rules compliance. Everyone associated with our department is responsible for rules compliance. Coaches, Administration, Boosters as well as Student-Athletes and their family play an integral role in maintaining our institutional integrity. For more information about becoming a Gridiron Club member, please contact UMass Athletics Development at 413-545-4290. Thank you for supporting UMass Football! To become more involved with UMass Football and the Gridiron Club, please fill out this form. Comments: As a football alumnus, if you are requesting game day accommodations please be specific in your request(s) such as the date of competition, number of requested accommodations, etc.